Think Dubai is all sleek shopping malls, skyscrapers and ancient souks? Guess again. Of course, Dubai has all of this in spades (and, FYI, does it really well), so when you've shopped, seen, and cultured out to your heart's content, food is (naturally) top of the agenda. But with so many restaurants, so many famous chefs, so many cuisines to try, deciding where to fill up in Dubai can be a bit like the city itself; a bit overwhelming. 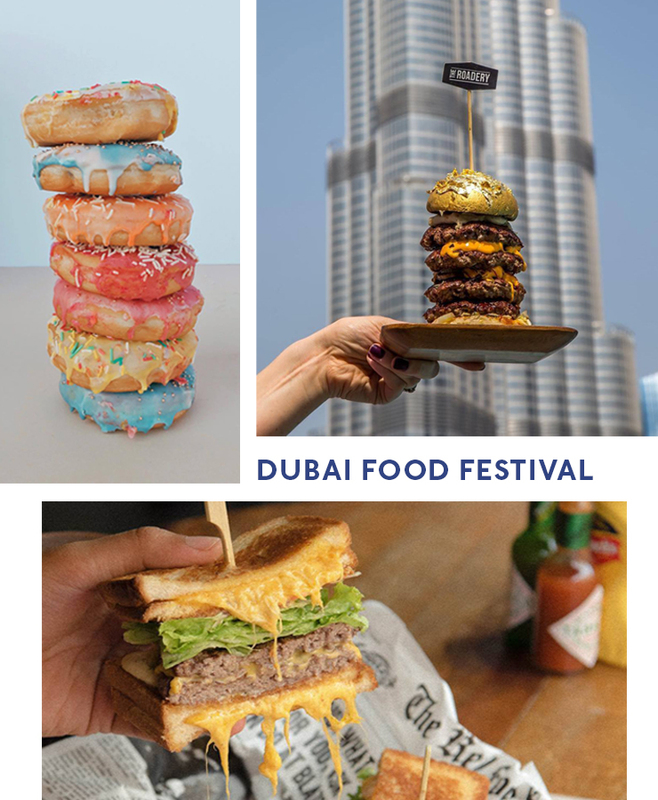 So, whether you’re inbound for a stop-over or looking to extend your stay in the Emirates, Dubai is the perfect location to (quite literally) get stuck in to all of the food. With a rich history, diverse culture and a flourishing food scene, eating out in this glittering city has never been more diverse! 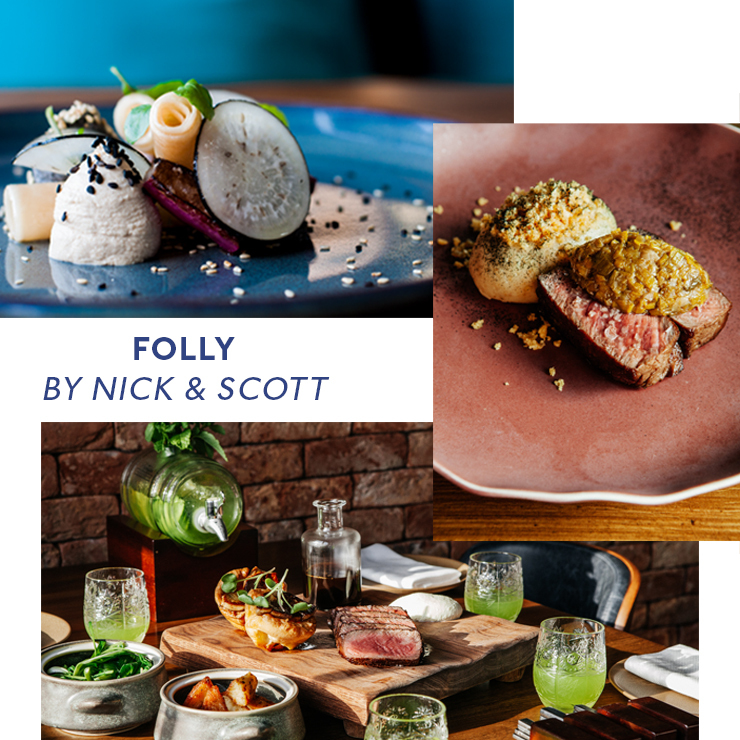 Literally located on the edge of the city’s motorway exits, Last Exit is doing some pretty incredible things for the Dubai food scene. Open 24-hours a day (seriously Australia, we’ve got some catching up to do…), each Last Exit has a unique theme (1950’s American diner, Mad Max apocalyptic… it’s wild) and are home to some of Dubai’s most iconic food trucks. But don’t for a second think that the OTT décor does the heavy lifting. 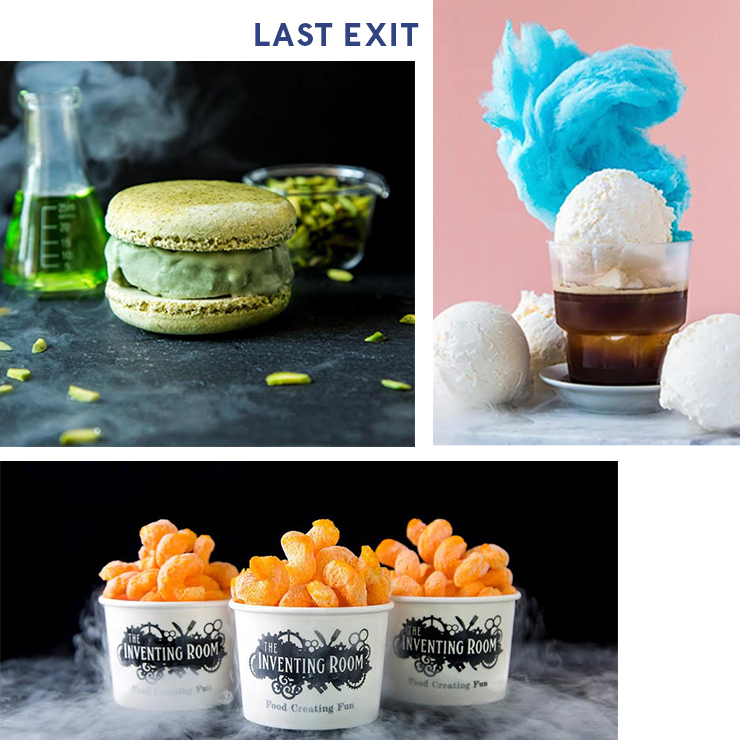 Serving up some of the world’s most unique and progressive food trends—think unicorn frappuccinos, cronuts, frozen Cheetos, dry ice Oreo bites, we could go on—Last Exit is a foodie lovers Instagrammable paradise. Known to locals as ‘the restaurant with the blue door’, Bleu Blanc by David Myers oozes French provincial charm before you even arrive! 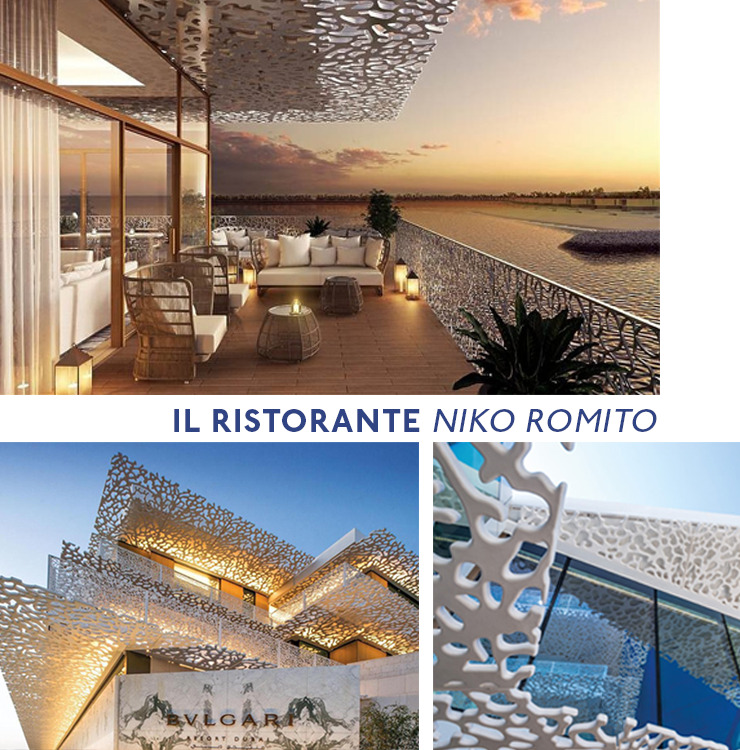 A celebration of southern France’s iconic cuisine, Bleu Blanc (housed inside the modernist’s dream that is the Renaissance Downtown Dubai) is far from predictable: everything from the roasted baby chicken, to the truffled mash potato to the whole turbot with champagne butter oozes sophistication. Always start with the grand plateau of diver scallops, Kelly oysters, king crabs, king prawn and Maine lobster—top buttons will need be undone here. One of the best spots in Dubai for specialty coffee and a breakfast menu to rival even Australia’s famous café scene (we practically invented avo on toast), Tom & Serg feels like a little slice of home in the heart of the UAE. As well as a choice selection of vego and vegan options, Tom & Serg are champions for celebrating local produce in their dishes. From house made banana bread served with smoked butter, to their famed red shakshouka and brekky bao, this gorgeous Dubai cafe is always pumping—and for good reason! Want to know where the locals go for coffee? Where they grab lunch? Or just where to get the best falafel in town? Sign up for a half day walking tour with the fabulous team at Frying Pan Adventures and you’ll experience Dubai just like a local. Drop into some of the oldest and most famous baklava shops, taste freshly made kanefeh, gorge on the city’s famed falafel and get to experience everyday Dubai life: sights, sounds, culture and ALL of the food. Come hungry! A must-do on any trip to Dubai is a visit to The Sheikh Mohammed Centre For Cultural Understanding. Not just because it is situated in the beautiful old town Bur Dubai but because they put on one killer traditional breakfast. Take in some fascinating local knowledge, learn about the ancient cultures and traditions of local Emirati all while sampling some impeccable local coffee and breakfast dishes inside a traditional Emirati home setting. Love a brekky buffet? Here's the best hotels in the world doing the best meal of the day right.